About ecoPayz ecoPayz is a payment solutions provider offering payment services to businesses and customers around the world in 173 countries in 46 currencies. EcoCard is a prepaid debit account that allows instant online payments at any of the thousands of merchants accepting this payment method. 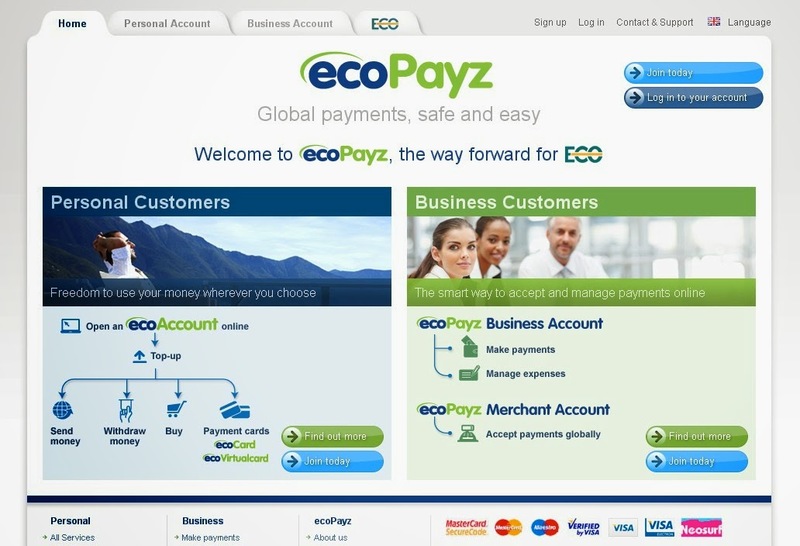 They have recently re-branded their company with the name EcoPayz, which spans the entire range of their payment tools. EcoCard remains as a core brand within their group, and has been restructured with some new terms as well. 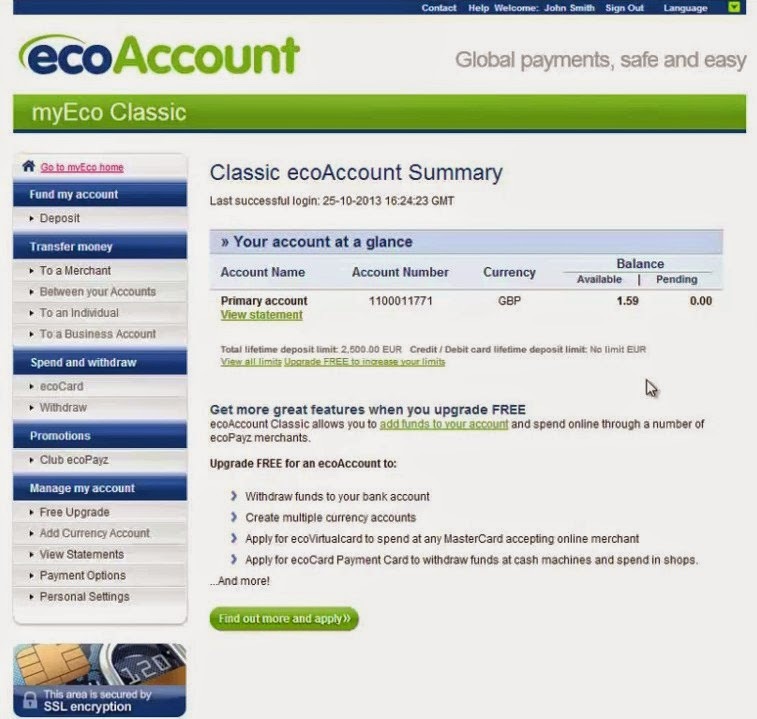 Your primary online account is now known as the EcoAccount. There are a few different versions of the account, including their physical MasterCard prepaid card account which is known as EcoCard, and their virtual prepaid card which is also MasterCard branded and is known as their EcoVirtualcard. Transfer Fees The charges vary depending on the method you choose and are payable at the moment of making the deposit. This is a fee charged by the third party that you choose as your deposit method. The fees are typically 3-5% of the deposit amount. Security EcoPayz offers a completely secure method of transferring funds into casino accounts. 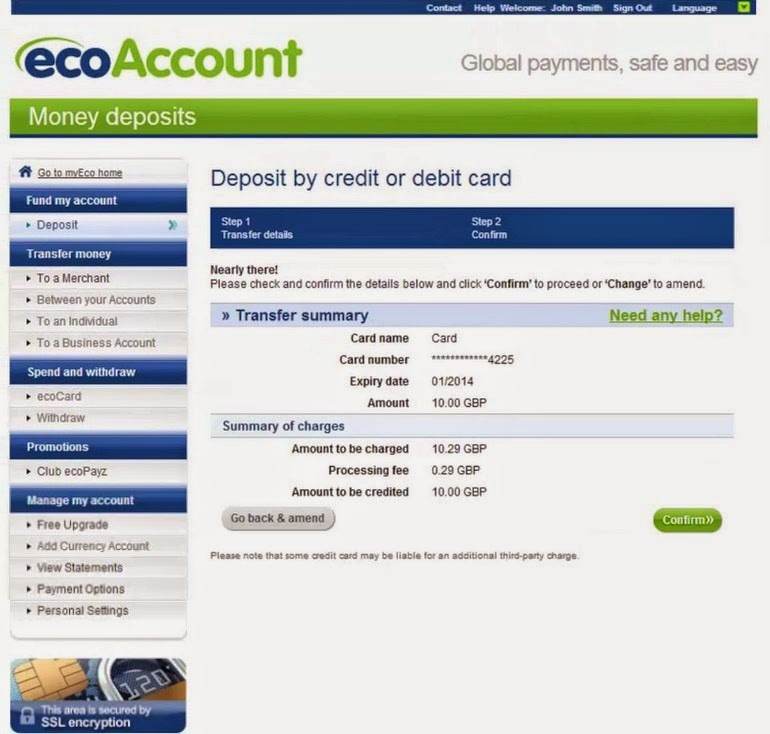 Your EcoPayz account is not linked to your credit card or bank account, so you can have complete peace of mind.